Click on OPEN REGISTRATION to register for available 919 LACROSSE PROGRAMS and take advantage of great savings and opportunities. Advanced training and competition at affordable prices! 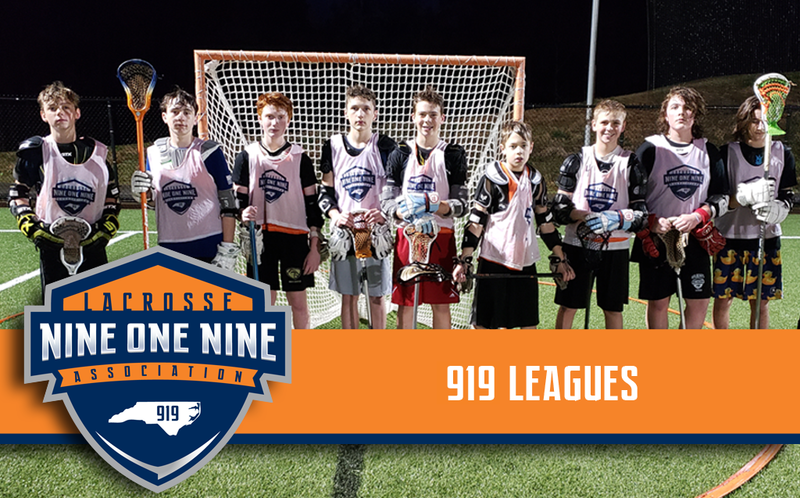 Click on CAMPS & TRAINING or LEAGUES for complete information about the great 919 LACROSSE CAMPS, TRAINING, & LEAGUES offered each season for travel team and beginner level players! Thank you to Mike Gable, Josh Lesko, and Devon Cruz of TRUE Lacrosse for coming to NC and putting on an awesome clinic for area recreational and travel players. The players did a great job of representing the talent in the Triangle and beyond. 919 Lacrosse will continue to provide opportunities all year for recreational and travel players to advance their skills. Stay connected with www.919LacrosseNC.com to learn more. Committed To The Game IN NC SINCE 1998. THE US LACROSSE Athlete DEVELOPMENT MODEL. Join the 919 Lacrosse Association and share in our vision to keep our players among the most prepared student-athletes! ©2019 919 Lacrosse Association / SportsEngine. All Rights Reserved.